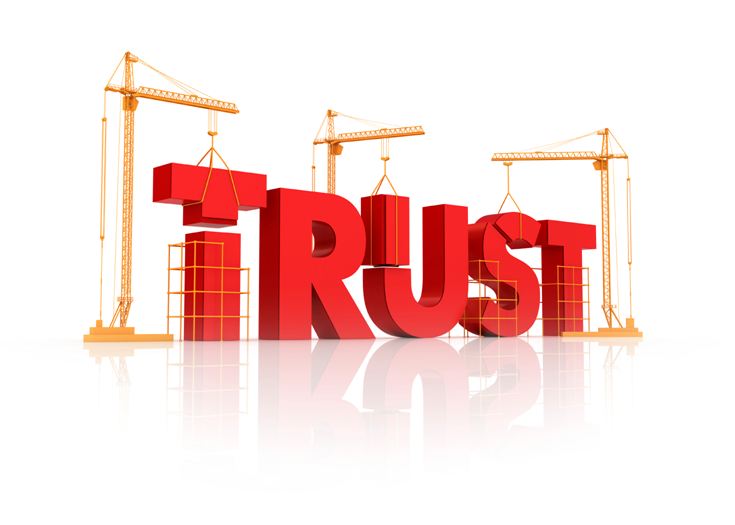 Trust is defined as an assessment I can make about how you will take care of my concerns in the future. Can I trust you to show up to take me to the ball game on Friday night? Trust has 3 important components: competence, reliability and sincerity. Competence is the ability to perform. Do you have the knowledge of how to drive a car? Do you have a car to use on Friday? Do you have a driver’s license? Reliability is the ability to take care of all the other concerns in your life well enough to prevent them from making you renege on the commitment you made to take me to the game. I.e. boss asked you to work late; your car ran out of gas; you got a better offer; you just didn’t feel like it. Sincerity: You do what you say you will do without having private conversations in the background, and you will remember what you said or promised for as long as it takes to fulfill your promise. Value: is defined as the interpretation of the importance, utility and worth of an offer or practice to avoid threats, fulfill obligations and exploit opportunities. Value is not obvious and needs to be explained. I’d like to share how I apply those deep meanings to my strategy. First, I own that in order to get help you have to be willing to give help. The more trustworthy and valuable you are in giving help, the more likely someone will be willing to give you help in return. Earlier I used the example of helping a friend move. Would you be more willing to help your buddy who is a deadbeat, never shows up on time and never returns favors move or your other buddy who is a body-builder, owns a truck and trailer and never lets you down? From YOUR perspective you see who has the most trust and value. With this part of the strategy you are trying to build accomplishments and offer help so people make that observation of you. So… Back to the jobsite. If you are the one who consistently performs well on your “short duration schedules” (SDS), shows up like clock-work on the job every morning and works safely no matter what, do you see how you are building trust and value with your foreman and Jenco? Who do you think will get the tougher assignments, the ones that have to be done right and on time? Who do you think will help the team bonus on the project? Who do you think the foreman and Jenco will be fighting to have on the next project? You’re right; they want to help the person who helps them. Interested in learning more? Let’s talk – my direct line is 480-607-8206.